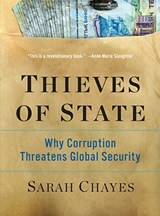 In Thieves of State, Sarah Chayes makes a novel and provocative argument for why governments must pay greater attention to acute corruption, by linking corruption with violent extremism. In her various guises as former National Public Radio (NPR) correspondent, high-ranking civilian advisor on Afghanistan to the US government, and finally, entrepreneur in Afghanistan, Chayes provides compelling insights on corruption that could only be gleaned by someone grappling with it on a daily basis. 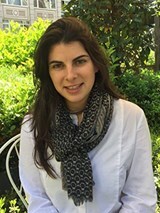 The central thesis of her book is that “acute government corruption may in fact lie at the root of some of the world’s most dangerous and disruptive security challenges – among them the spread of violent extremism.” Specifically, Chayes identifies a particular type of corruption – kleptocratic governance – that she defines as “vertically integrated criminal syndicates,” in which everyone from top officials to the bottom rung of government are part of the same protection racket. In this system, everyone essentially pays to the leadership one step up, in return for securing lucrative positions in government; this also allows them future access to patronage and opportunities for bribes. In return, all higher levels protect the lower levels of government from prosecution. Chayes argues that this particular type of corruption delegitimizes governments in the eyes of regular citizens. Such delegitimization increases the risk of disgruntled citizens joining insurgencies and extremist groups, or at the very least, citizens do nothing to help governments curb extremist violence. 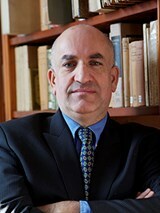 Chayes provides evidence from this argument across a range of contemporary cases such as Afghanistan, Egypt, Tunisia, Nigeria, and Uzbekistan. She further bolsters her argument by examining historical cases such as the 16th-century Dutch revolt against Phillip II and the 17th-century English revolt against Charles I.
Chayes’ book has two core strengths: (1) it represents an innovative take on the concept of corruption, which helps broaden our understanding of its insidious effects; and (2) it provides a particularly gripping look at corruption in Afghanistan, and the permissive (even active) role played by the US in allowing corruption networks to solidify. Corruption has long been the domain of policymakers and academics in the fields of governance and development. A range of prominent studies has looked at the damaging effects of corruption on economic and social outcomes such as investment and economic growth, income inequality and poverty, government spending, and infrastructure development. 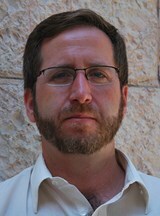 Chayes’ work adds to the emerging literature on the links between corruption and security challenges. Previous studies have linked corruption with various security outcomes such as civil conflict and insurgencies. What makes her contribution innovative is the fact that thinking specifically about “kleptocracies” allows us to think differently about how corruption might shape insurgencies and nation building. Chayes shows, for example, that the officials at the highest levels of US government were well aware of the serious corruption problems in Afghanistan. But top US officials, and the State Department, chose to think of corruption at the lowest levels (“petty corruption”) as independent/separate from the higher levels of government in Afghanistan. As a result of this misconception, the US was unable to prosecute even low-level officials. Worse, Chayes shows that US officials could not even wrap their heads around why they failed. What these officials were missing, Chayes shows, is that corruption at the bottom was not only taking place, but being actively protected by the top. 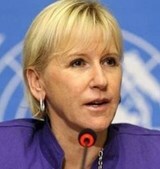 Thinking of kleptocracies as she does allows us to understand why US anticorruption measures in Afghanistan failed. Many of these prior measures were based on the assumption that the Afghan state is a weak one. Chayes shows the opposite – that the Afghan state was in fact, a strong one. It simply was not designed for governance, but rather for exploitation. Thinking specifically about kleptocracies as a unique problem thus opens up new opportunities for discussing innovative anticorruption policies that may be different from past efforts. The book’s second core strength revolves around her examination of Afghanistan as a case study. While she studies a wide range of other countries (and time periods), Afghanistan is by far the strongest section of the book. She devotes five chapters to it exclusively. In them, she shows that corruption deeply affected the ground realities for everyday Afghans, and that corruption at the highest levels of government benefitted, and was shepherded by members of President Hamid Karzai’s family. She also highlights evidence that recruitment of Taliban fighters benefitted from citizens’ perceptions of corruption within the Karzai government. The book also makes a strong critique of the passive, and sometimes even active role that the US played in promoting acute corruption in Afghanistan. Chayes provides an absorbing (and dismaying) account of the various points in time at which US officials could have implemented stronger anticorruption measures and chose not to do so – for instance, at the beginning of the Karzai government in 2001, at the time of the appointment of General Stanley McChrystal, and later when General David Petraeus was appointed to run the war. At one point, Chayes claims that weak anticorruption measures were put in place without even consulting the possibility of stronger measures with US President Barack Obama. Chayes’ account also explains the weak US response. She shows that the US failure stems from its error of placing all of its trust in one high-level proxy – the top leadership of the Karzai government. In turn, Karzai and his family exploited this level of influence to the fullest extent. US support, in fact, was so strong that the CIA was covertly giving them millions of dollars in cash to buy off rivals, using known corrupt intermediaries in the process. Even other high-ranking members of the US government were unaware of this fact. Essentially, Chayes shows, “a secret CIA agenda [was] in direct conflict with the anticorruption agenda,” which resulted in the US walking into “a circular firing squad” in Afghanistan. Despite its many strengths, the book also suffers from a number of issues that raise questions about the findings, and also generate possibilities for future study. The first major issue concerns the lack of clarity on the concept of corruption – i.e., kleptocracies. Chayes classifies all modern cases of corruption she discusses (Afghanistan, Egypt, Tunisia, Uzbekistan, and Nigeria) as kleptocracies. No cases are discussed that are not kleptocracies. The author then expands the boundaries of what constitutes a kleptocracy by adding 16th-century Netherlands, 17th-century Britain, the Catholic Church, and even Ireland, Iceland, and the US (specifically in regards to financial corruption) to her list of kleptocracies. This begs the question: what is not a kleptocratic form of corruption? This question of what constitutes a kleptocracy and what does not is particularly important for two reasons. First, as mentioned before, solutions to kleptocratic governance may be different from other forms of corruption. Second, a variety of studies has argued that some forms of corruption can even result in positive outcomes. In a seminal study on Europe, Charles Tilly famously argued that European states behaved very much like mafia entities in their formative years – and this resulted in strong states in Europe. In a comparative study of economic development across a range of countries, Atul Kohli shows that corruption at the top levels played a positive role in economic development in South Korea and India. In fact, in direct contradiction to Chayes’ argument, Cheng and Zaum list a variety of studies that argue that corruption can even have a positive limited impact on peace by “buying peace” in the short term. Clearly, Chayes disagrees with that last proposition, and with good reason. But by not addressing this question – of what is and is not a kleptocracy – Chayes forecloses interesting opportunities for comparative analysis. The second major issue with the book is that the link between acute corruption and extremist violence remains underdeveloped. The major evidence in the book that acute corruption leads to extremist violence comes from Afghanistan. Chayes cites detainee interviews in which insurgents admitted that corruption swelled their ranks. However, no reports or studies are cited. Additional evidence comes from reports of public support for Boko Haram in Nigeria, and public support for the revolts against Kings Phillip II and Charles I. The argument could have been strengthened with more evidence. This is especially true because the Egypt, Uzbekistan, and Tunisia chapters did not deal with extremist violence as much as with general revolts. In these cases, corruption did not lead straight to extremist violence. This suggests that the links between corruption and extremist violence may not be straightforward. In fact, there are countries around the world with acute levels of corruption without any extremist violence. Angola and Venezuela, for example, are two of the most corrupt governments on earth, according to Transparency International. Similarly, a case study of modern-day Cambodia by Transparency International describes the country as a place where corruption “has pervaded almost every sector of the country (…) [and where] the majority of public servants earn their living by collecting bribes for basic services, portions of which are then passed up the chain of command to ensure job security.” This is exactly how Chayes defines kleptocracies. Yet, none of these countries suffers extremist violence. This opens up a range of possibilities for future research. 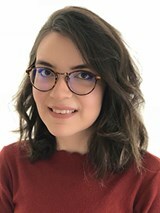 Prior studies have already argued that “corruption is (…) not in itself a sufficient or even necessary factor in the outbreak of armed conflicts.” Perhaps future research should look at the combination of acute corruption with the presence of existing extremist groups/networks as the condition under which extremist violence flourishes. This is already an implicit condition in many of Chayes’ cases of insurgencies (Afghanistan and Nigeria, for instance), and not true in cases without insurgencies (such as Uzbekistan and Egypt). Further tests of such hypotheses could be quite useful for studying corruption and violence. Finally, there is precedence in the literature that the causal arrow between corruption and violence might actually run in the opposite direction to the one Chayes posits. In other words, violence might be increasing future corruption levels, instead of corruption promoting extremist violence. For instance, Le Billon conducts a study of 17 cases of conflict and found that in 10 of those cases, corruption worsened in the post-conflict period. Cheng and Zaum also discuss a variety of studies suggesting that in countries with ongoing conflict, corruption in the short term can be acceptable in order to gain peace in the longer term. If these studies were correct, then we would still see the “uncanny” correlation that Chayes sees between corruption and extremist violence. However, we would still reject her hypothesis that corruption causes extremist violence. Whatever issues the book may present, Chayes takes an important step forward in the debate on corruption. The book provides a range of interesting policy solutions that are worth examining in more detail through further research and experimentation. Tackling corruption is definitely one of the areas in which we learn by doing. Equally importantly, Chayes makes a persuasive case that the debate should be reframed to include national security concerns as well. This could help generate support for a strong(er) anticorruption agenda amongst governments and international aid agencies. That said, she also shows that implementing an ambitious anticorruption agenda will require political support from top leadership within governments, especially the US. Whether the agenda will receive such support, however, remains to be seen. Sarah Chayes, Thieves of State: Why Corruption Threatens Global Security (New York: W. W. Norton, 2015). Chayes (2015), pp. 44, 64, 181-82. Pak Hung Mo, “Corruption and Economic Growth,” Journal of Comparative Economics, Vol. 29 (2001), p. 66-79; Mehmet Uğur, “Corruption’s Direct Effects on Per-Capita Income Growth: A Meta Analysis,” Journal of Economic Surveys, Vol. 28, No. 3 (2014), pp. 472-90. Sanjeev Gupta, Hamid Davoodi, and Rosa Alonso-Terme, “Does Corruption Affect Income Inequality and Poverty?,” Economics of Governance, Vol. 3 (2002), pp. 23-45. Cheol Liu and John Mikesell, “The Impact of Public Officials’ Corruption on the Size and Allocation of US State Spending,” Public Administration Review, Vol. 74, No. 3 (2014), pp. 346-59. Robert Gillanders, “Corruption and Infrastructure at the Country and Regional Level,” Helsinki Center for Economic Research, Discussion Paper No. 365 (2013). Jonas Lindberg and Camilla Orjuela, “Corruption and Conflict: Connections and Consequences in War-torn Sri Lanka,” Conflict, Security and Development, Vol. 11, No. 5 (2011), pp. 205-33; Havard Hegre and Havard Nygard, “Governance and Conflict Relapse,” Journal of Conflict Resolution (2014), pp. 1-33. Chayes (2015), pp. 3-6, 23-24, 154. Chayes (2015), pp. 6, 27-29, 40-57, 139-144. Charles Tilly, Coercion, Capital and European States: AD 990 – 1992 (Cambridge, MA: Blackwell, 1992). Atul Kohli, State-Directed Development: Political Power and Industrialization in the Global Periphery (New York: Cambridge, 2004); Atul Kohli, “Politics of Economic Growth in India, 1980-2005: Part II – The 1990s and Beyond,” Economics and Political Weekly, Vol. XLI, No. 14 (2006), pp. 1361-70. Christine Cheng and Dominik Zaum (eds. ), Corruption and Post-Conflict Peacebuilding (New York: Routledge, 2011), p. 8. Corruption Perceptions Index 2014 (Berlin: Transparency International, 2014). Lindsay Maclean, National Integrity Systems: Transparency International Country Study Report Cambodia 2006 (Berlin: Transparency International, 2006), p. 9. Phillipe Le Billon, “Buying Peace or Fueling War: The Role of Corruption in Armed Conflicts,” Journal of International Development, Vol. 15 (2003), p. 424. Phillipe Le Billon, “Corrupting Peace? Peacebuilding and Post-conflict Corruption,” International Peacekeeping, Vol.15, No.3 (2008), p 348. Cheng and Zaum (2011), p. 8. Varun Piplani is a PhD Candidate in the Department of Political Science at George Washington University, USA.